Suggested use infographics for the YOUTH skin care collection. 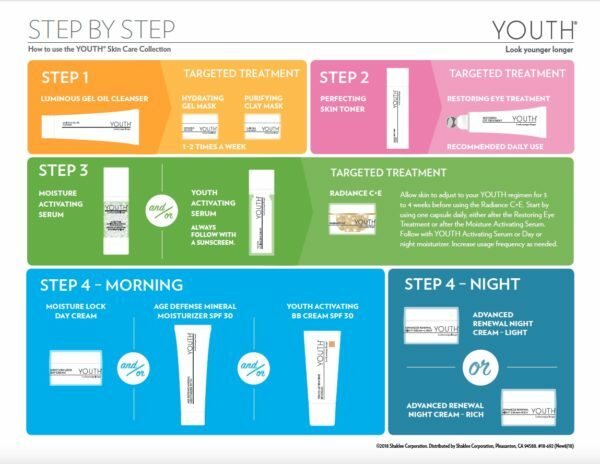 Includes options covering the full product line, the Hydration Regimen, the Advanced Anti-Aging Regimen, and Targeted Treatments. Each infographic is a 8.5″ × 11″ PDF.